This post was brought to you by Batter World. All opinions are mine. Contains affiliate links. See my full disclosure for more information. Our family loves breakfast, it's true. 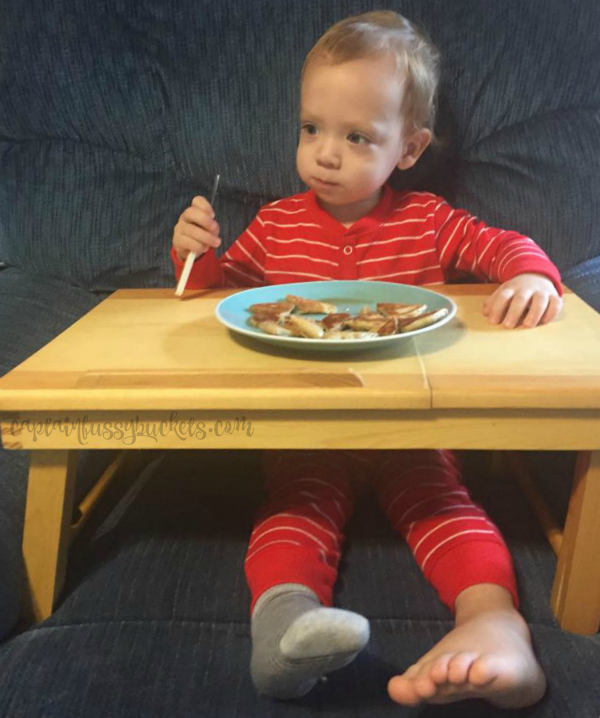 Any time of the day, we can enjoy breakfast foods! 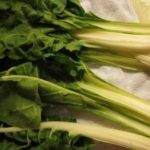 in the morning, especially, it's essential to have quick things to cook that are ready in a snap, but most of the convenience breakfast foods are just not very healthy. I have found a way to make delicious, easy pancakes in no time flat, and they're made with simple ingredients, too. 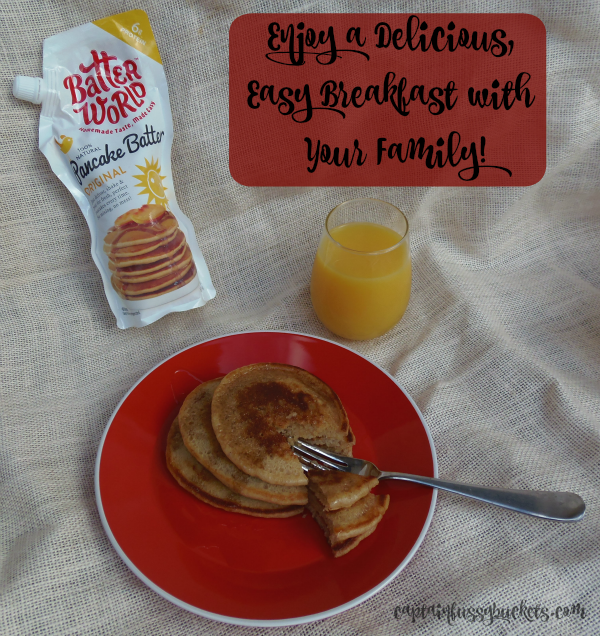 Batter World is a preservative free pancake batter that comes ready to use. It was started by busy moms like me, Leigh Judson and Nicole Palmer, and I thank them for this awesome product, because it has already helped me SO much. I have made pancakes for the boys a few times and just tonight, Baby Brother was hungry, so I made him ONE pancake in less than 5 minutes. There is no way I could've even located the ingredients to make homemade pancakes had I tried. 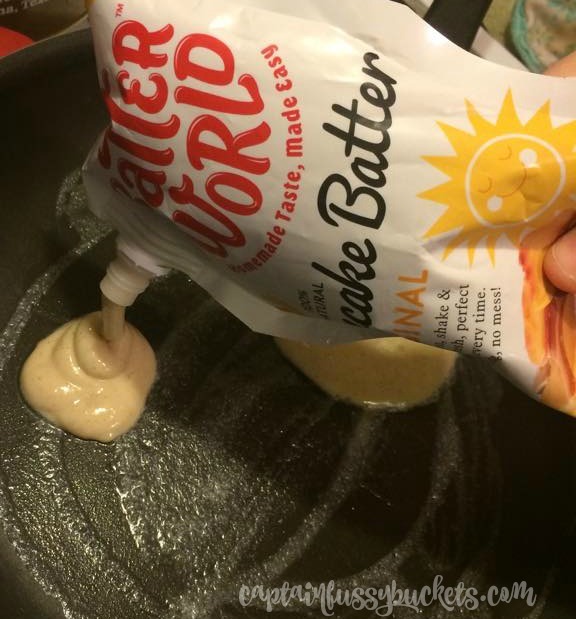 Batter World is SUCH a timesaver for busy moms like me. 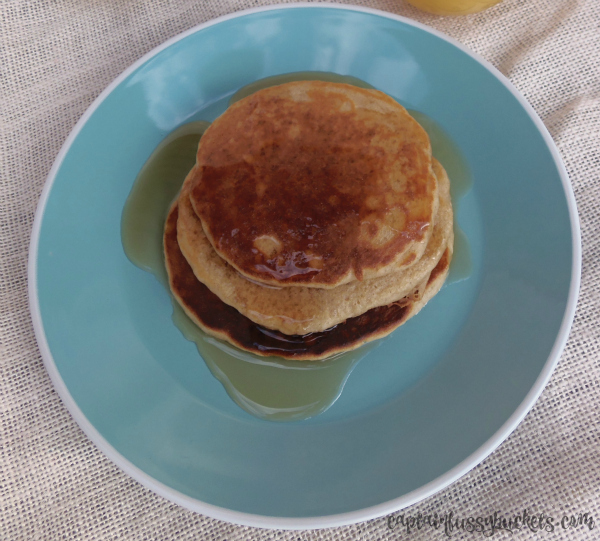 These pancakes are delicious by themselves or topped with pure maple syrup. 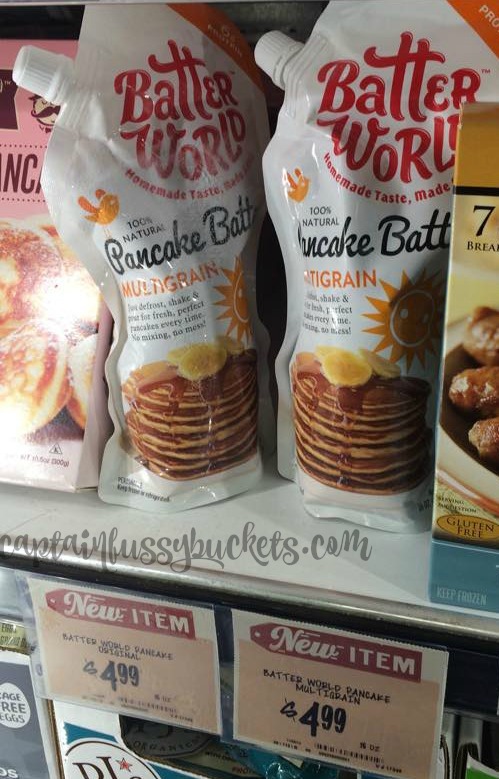 Batter World is found in the freezer section of Central Market stores in Texas, (this store is AMAZING if you haven't been there!) It's also available in grocery stores in Northern California and Utah. Keeping it frozen is how they keep it tasting fresh and delicious without the perservatives. Simply thaw out in the fridge the night before you want to have pancakes, shake before using, and then recap and save what you don't need. The batter is good for a little over a week after you open the pouch. There's no clumping, the batter comes out nice and smooth. Cook like you would any pancake batter. You can even add fruit, nuts, or chocolate chips to the batter. My Batter World pancakes cooked up nicely in my Lodge cast iron griddle and PFOA free non-stick pan with a dab of butter melted in the pan. Within minutes, you have fresh, delicious, homemade pancakes. Baby Brother is a BIG fan of Batter World! 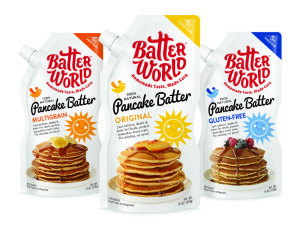 Batter World is available in Original, Multigrain, and Gluten-Free. 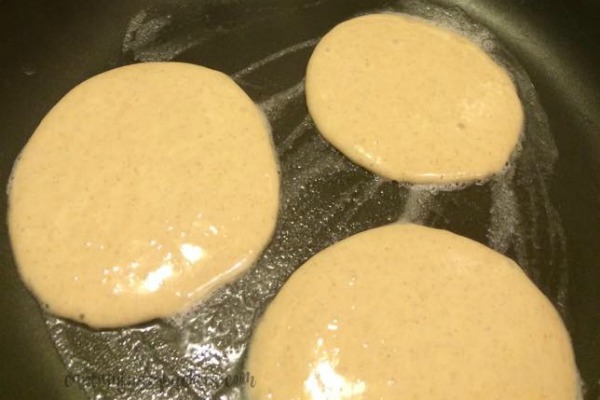 For more information on this frozen pancake batter, visit the Batter World website. To celebrate Batter World coming to Texas, one lucky winner will win three coupons for free Batter World products of their choosing and a $10 Central Market gift card! 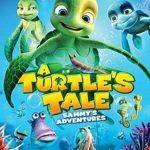 Just enter in the Rafflecopter form below. Giveaway ends at 11 PM, central time on 11/28. Good luck!